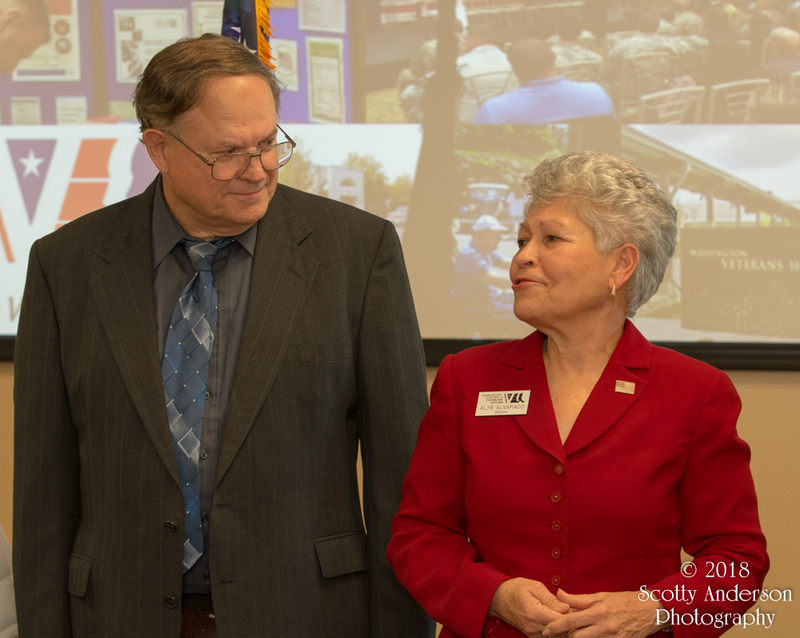 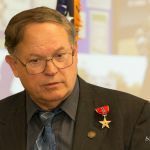 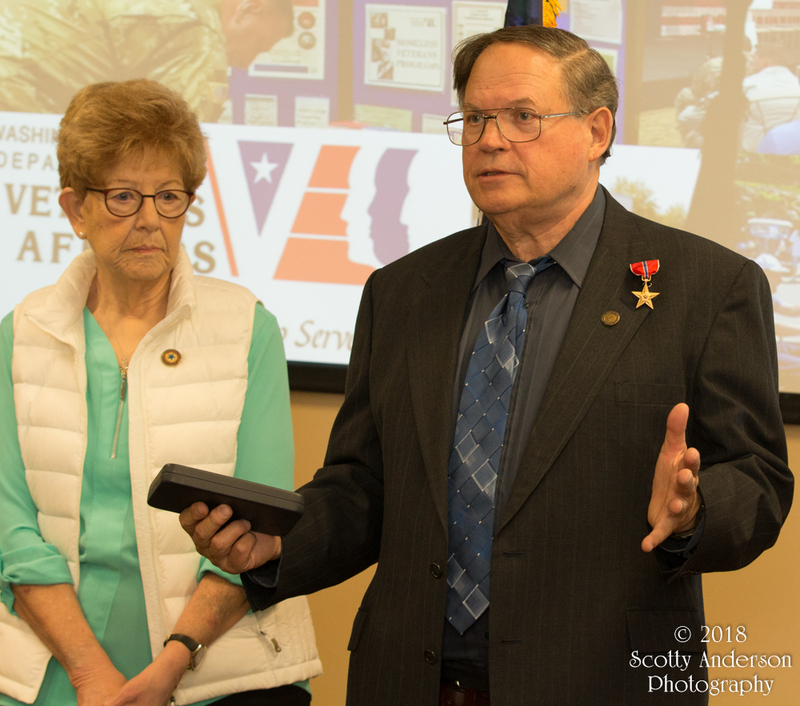 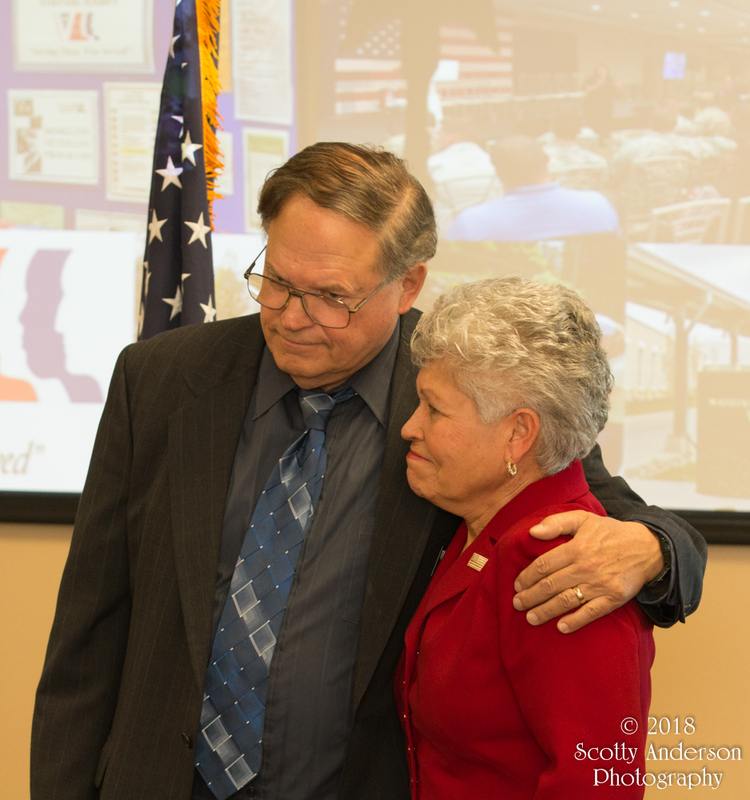 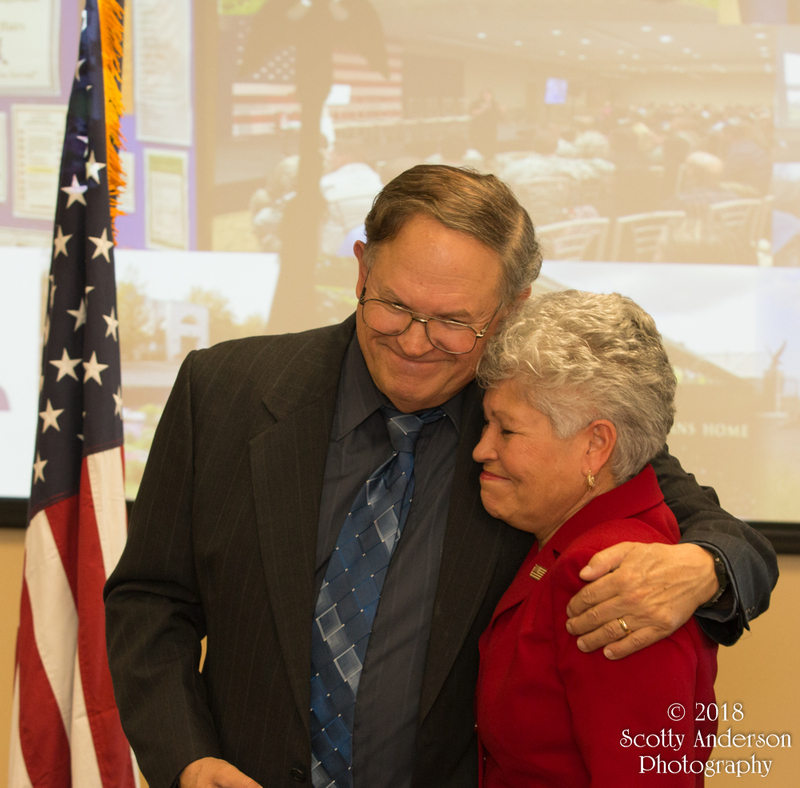 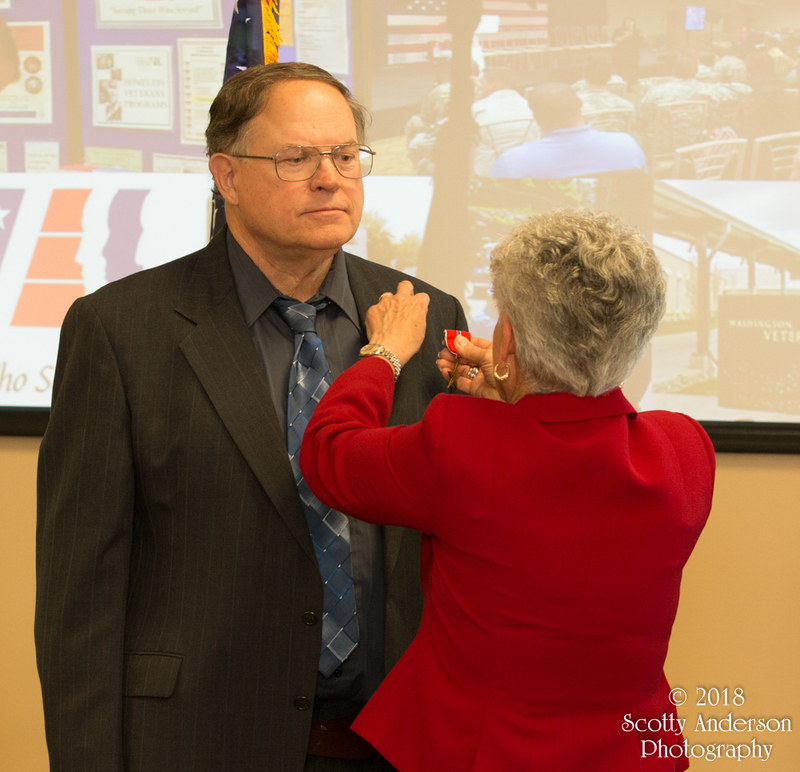 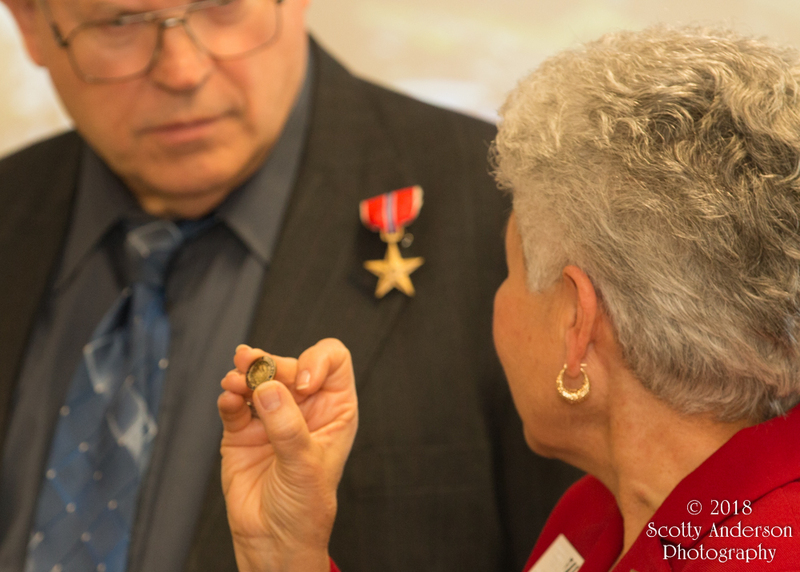 This morning I had the opportunity to shoot photos at a ceremony for retired Coroner Peter J. Martin who had received a Bronze Star during the Vietnam War. 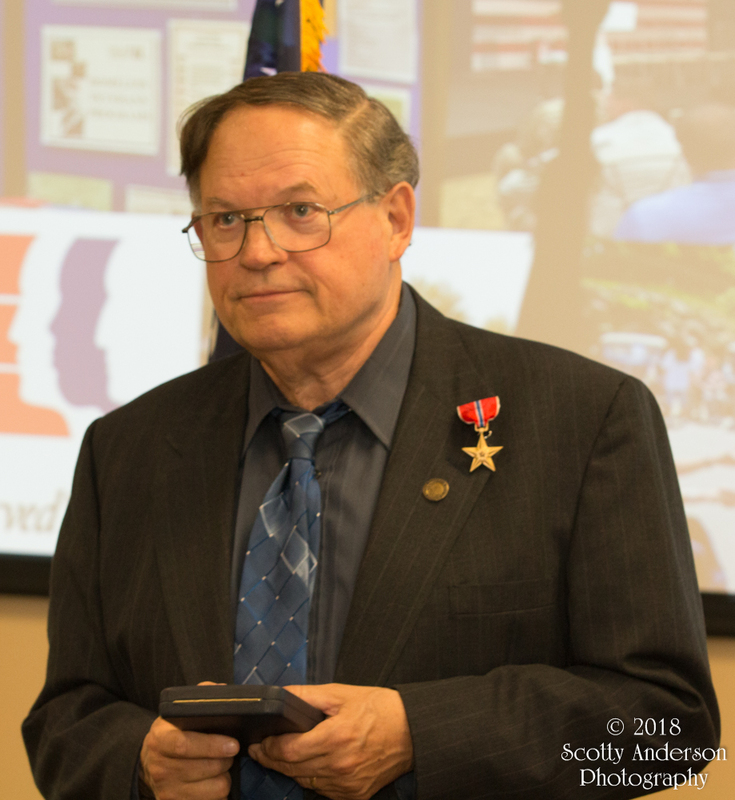 Unfortunately, due to circumstances outside of his control, he was never officially awarded his Bronze Star, until today. 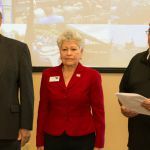 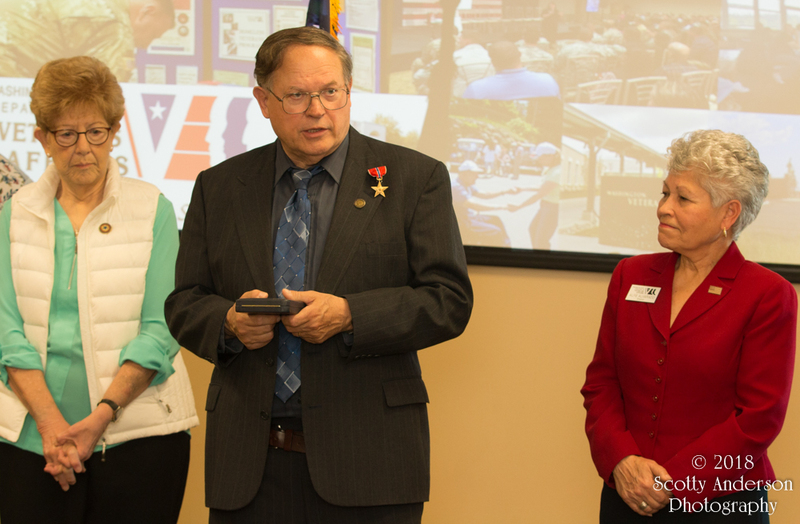 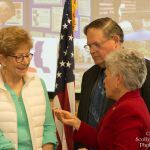 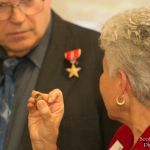 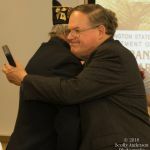 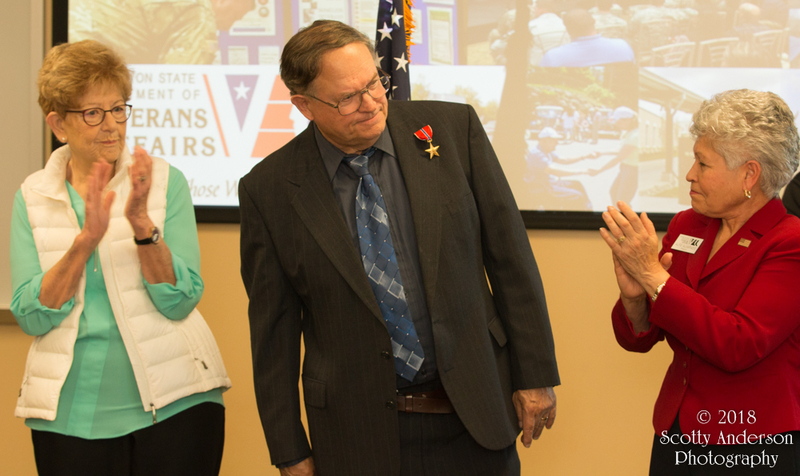 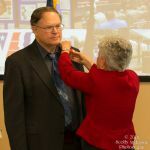 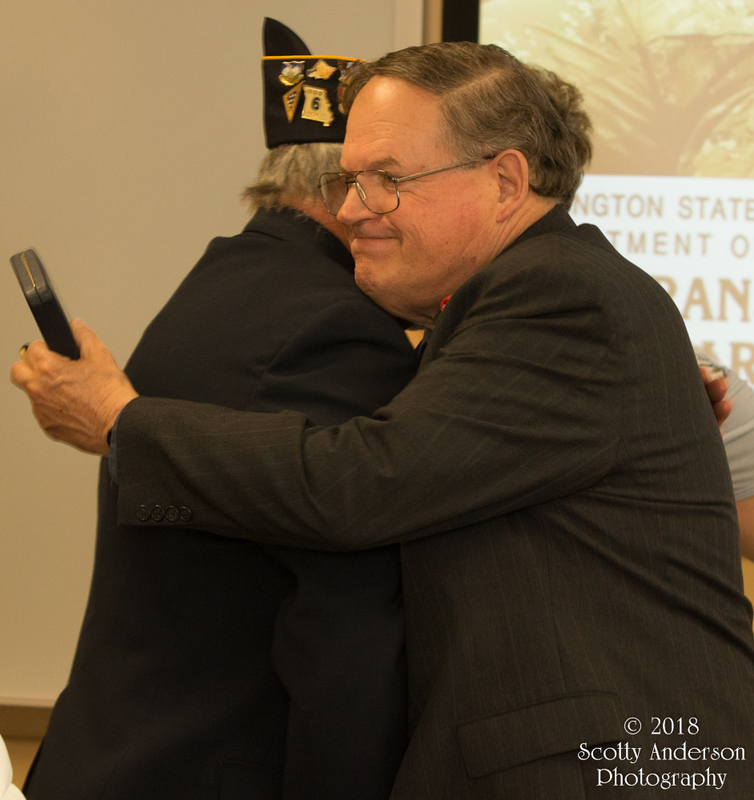 Alfie Alvarado, Director, Washington State Department of Veterans Affairs, was in Pullman, Washington and officially pinned his Bronze Star. 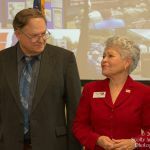 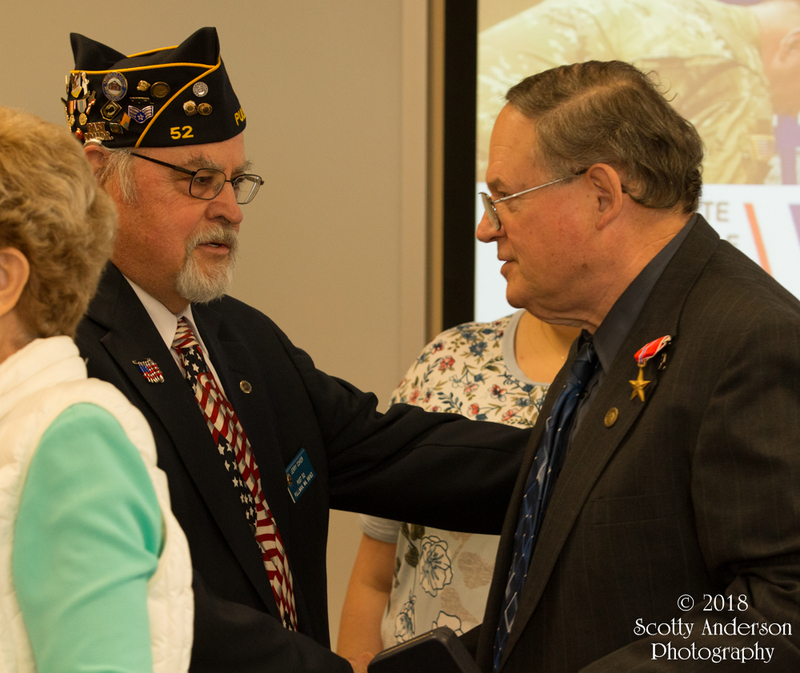 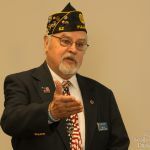 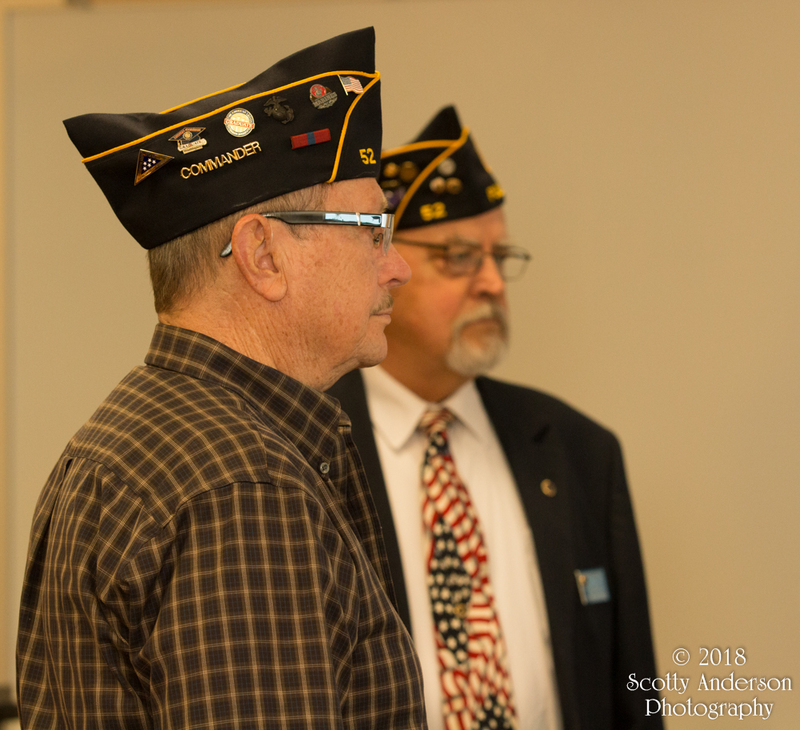 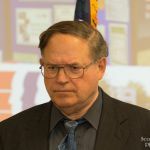 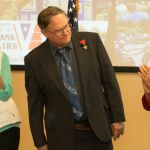 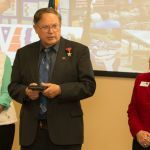 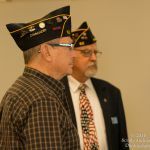 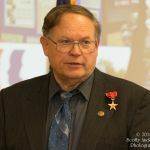 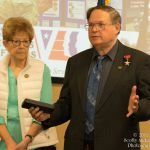 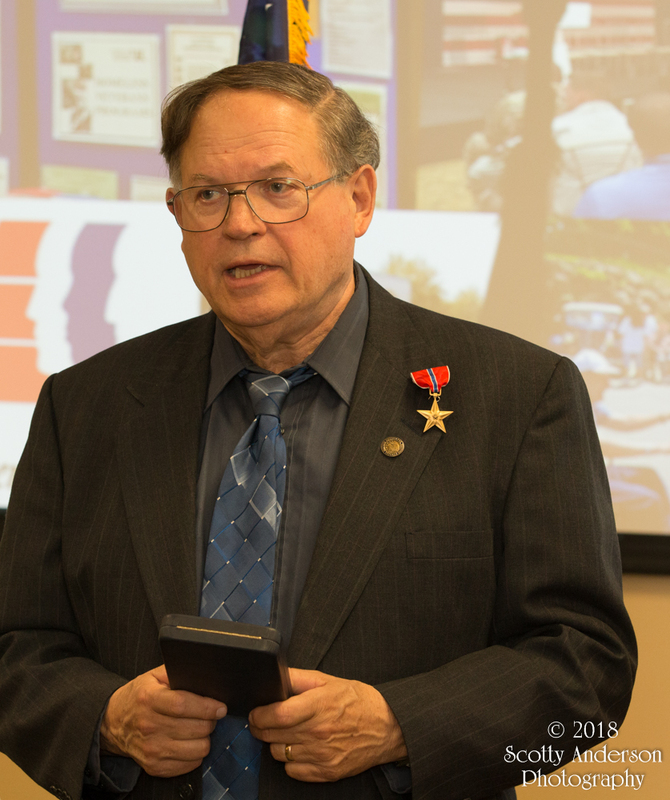 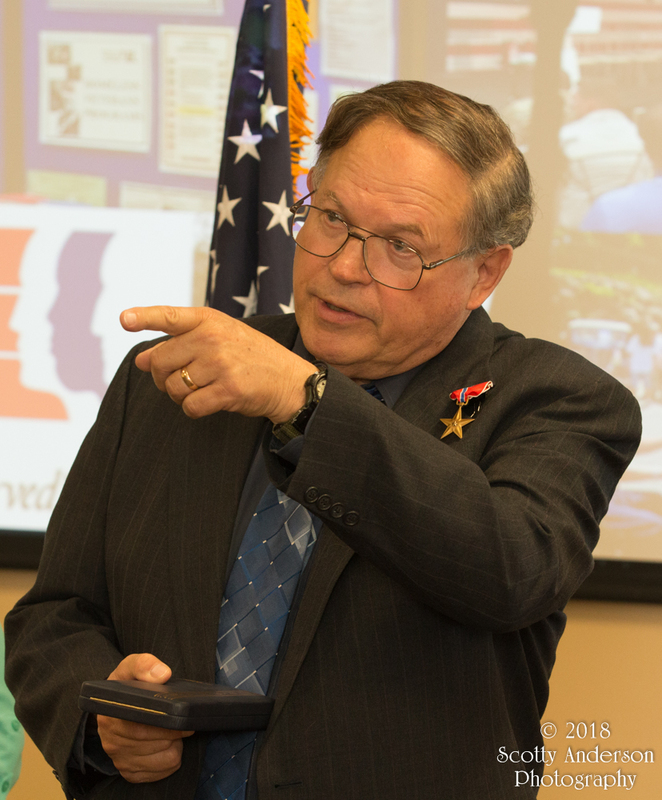 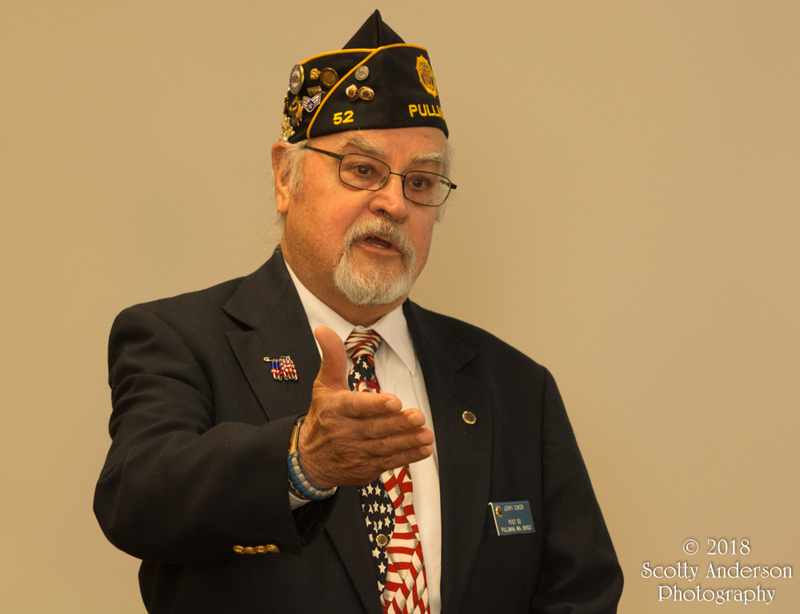 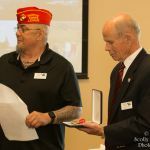 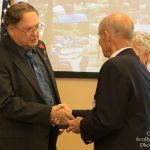 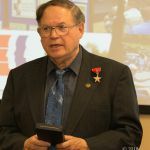 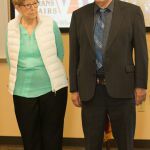 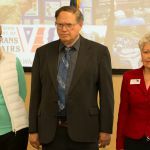 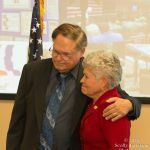 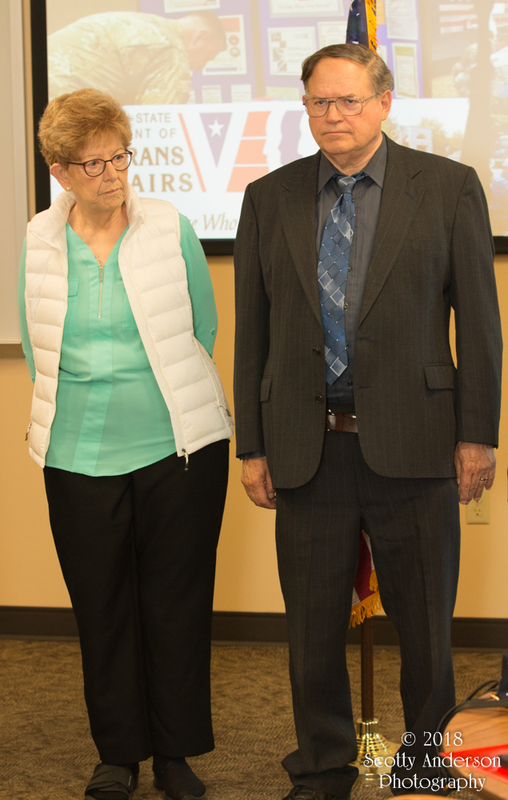 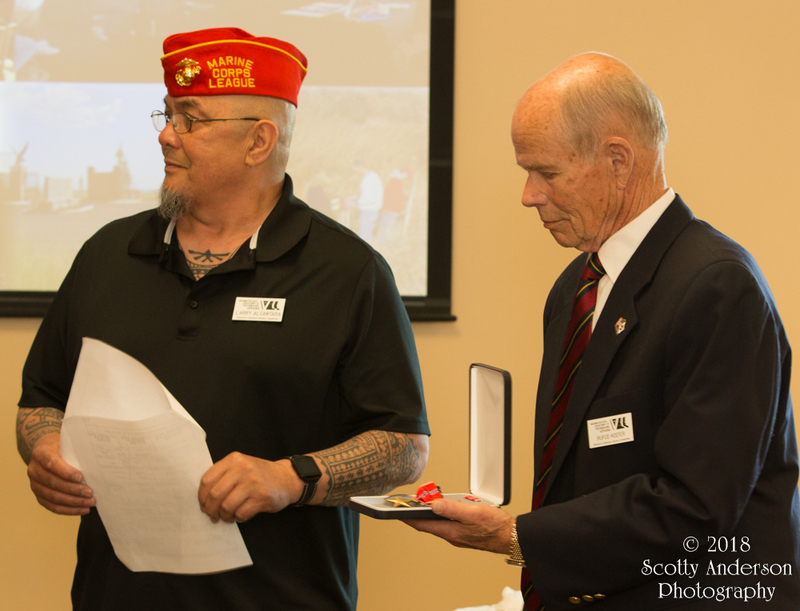 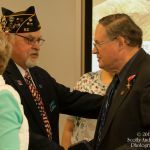 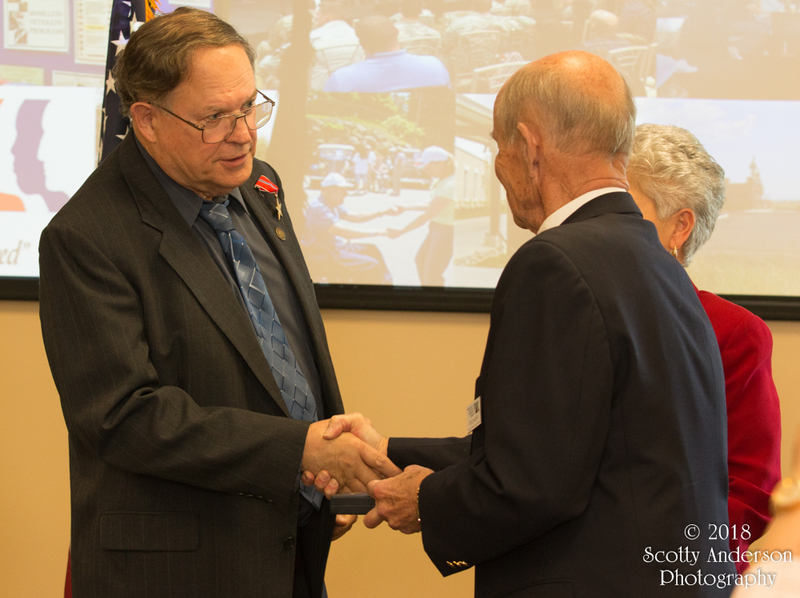 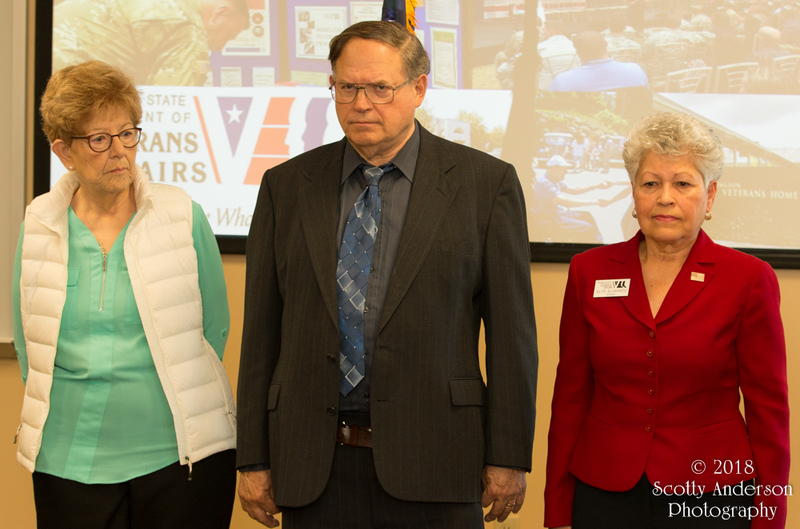 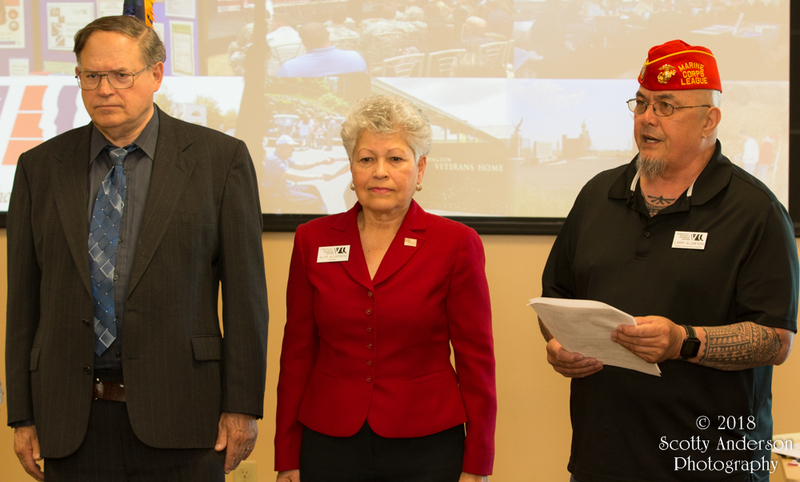 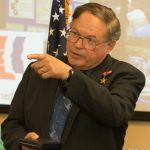 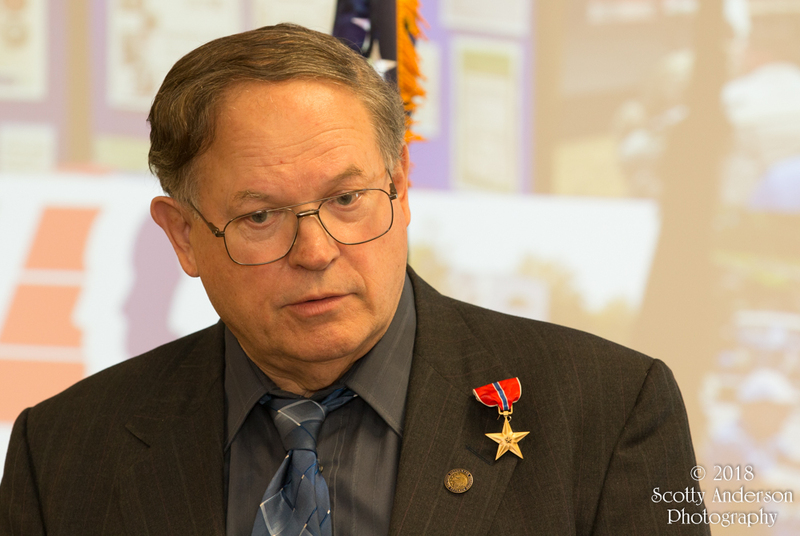 Larry Alcantara, with the Washington State Department of Veterans Affairs, read the information about what Martin did to earn the Bronze Star. 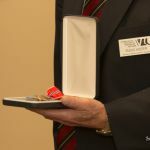 This was a wonderful ceremony and well deserved. The room was at the SEL event center. 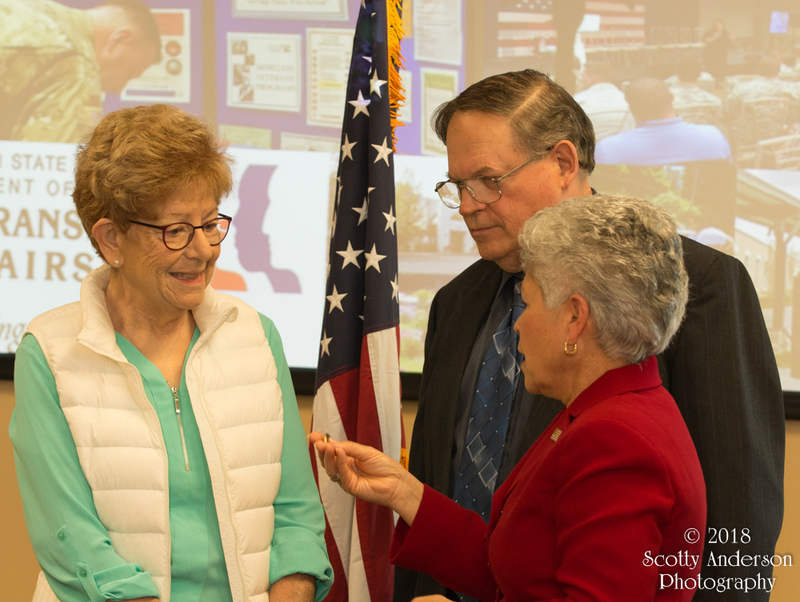 I used my Canon 70D camera along with my Canon 70-200mm f/2.8l IS II USM lens to capture the photos. 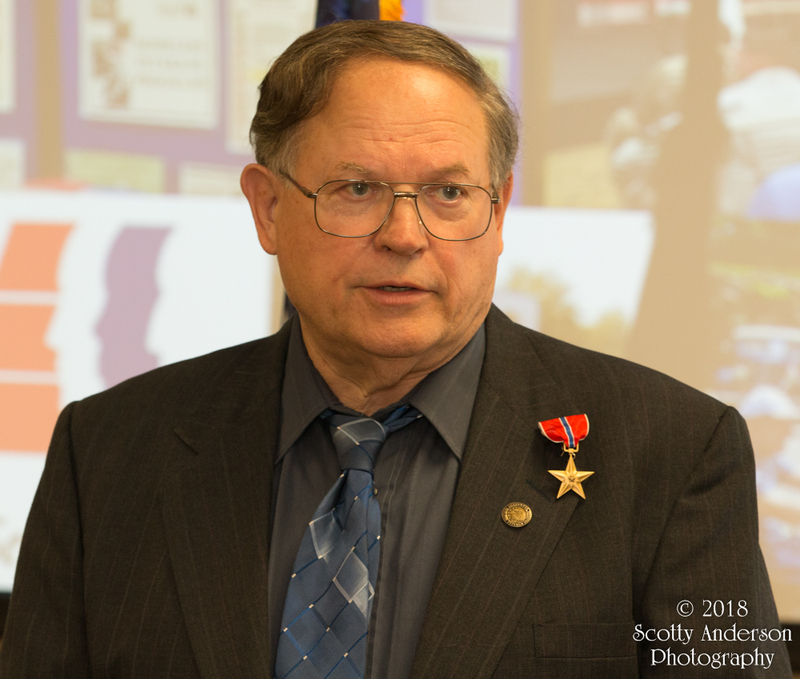 I used a flash to bounce off the wall behind me in order to get a little more light into the room. 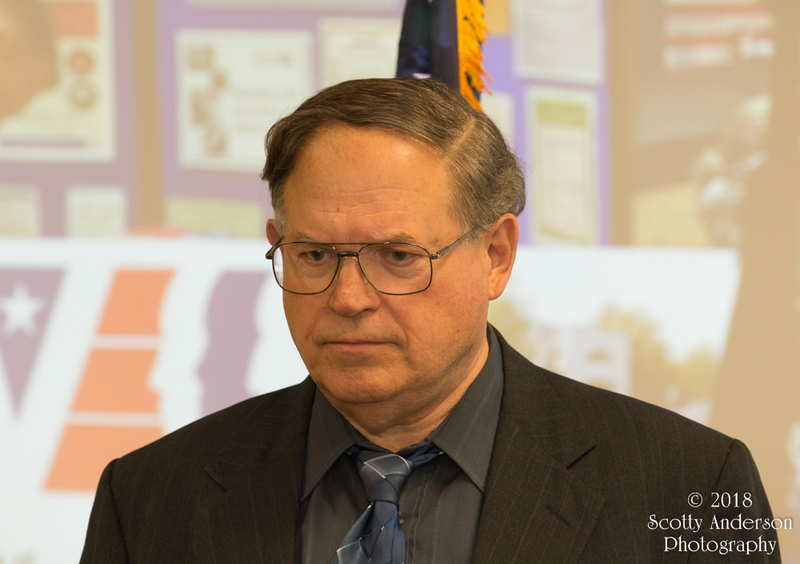 All the photos were taken with f/4.5, 1/100 second shutter speed, and an ISO 800 setting. 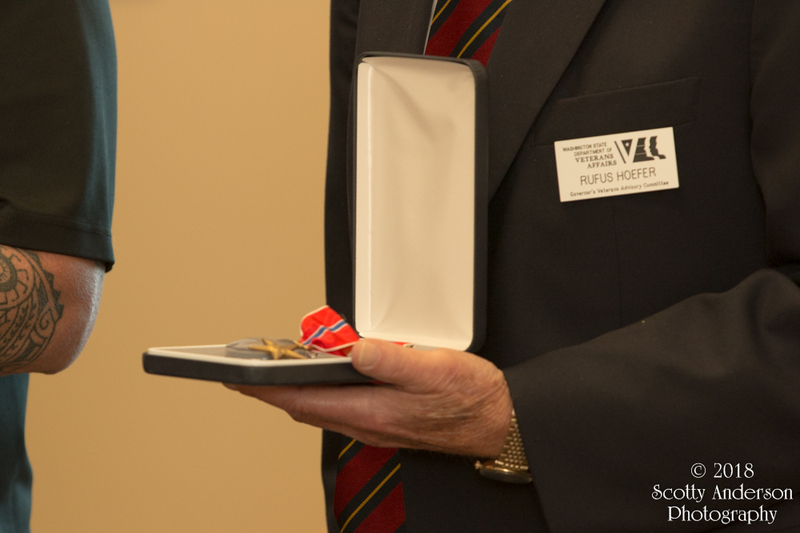 In spite of the crop factor the room was large enough for me to get some good photos of the ceremony.